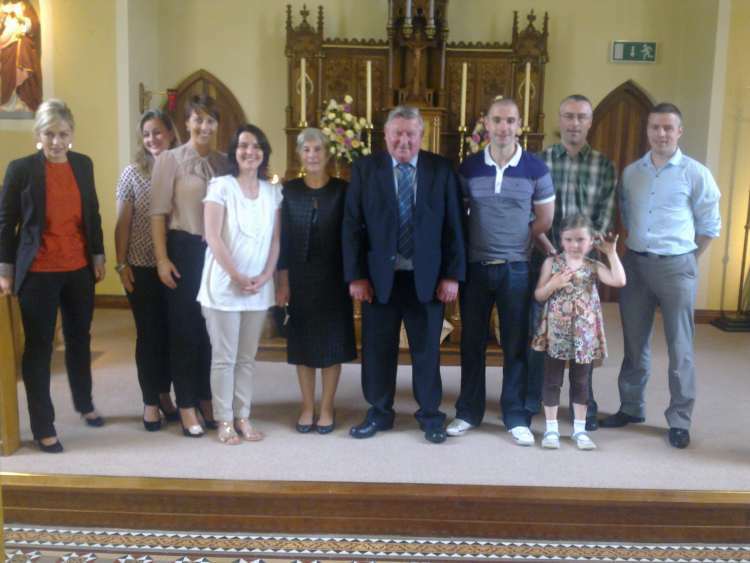 John and Peggy Nyhan, Coppeen received a special blessing in Toames on Sun 24th July as they celebrated their 40th wedding anniversary. Peggy was formerly Peggy O'Riordan, Cooldorihy, daughter of the late Jerry and Eileen. They are pictured here with their seven children and one of their grandchildren.